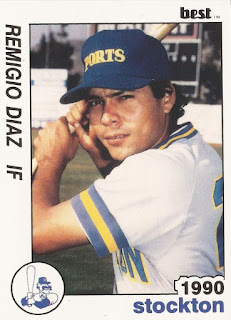 The translation isn't the best, but Remigio Diaz' long connection to the game of baseball comes through. Diaz played nearly two decades, spending much of that time in Mexico playing with Monterrey. In 2014, he continued his baseball career as a coach with Puebla. "I reported with my new team," Diaz told GrandSlam.com.mx, according to an imprecise Microsoft translation, "and I think that one never stops learning and is a new stage where my learning is I have to be transmitted to the boys." Diaz' long career in baseball began in the late 1980s, signed by Monterey out of his native Veracruz in Mexico. 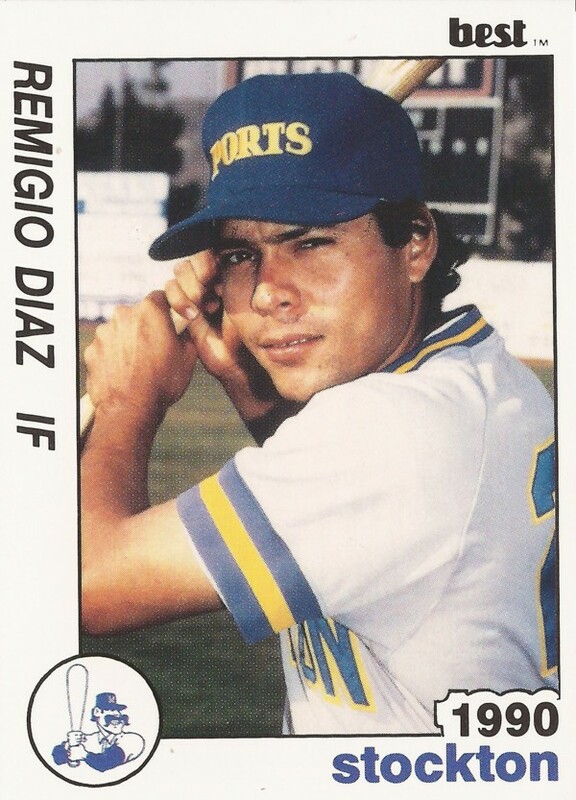 Diaz played for Monterey in 1989, hitting .273 with 32 RBI over 106 games, according to his ProCards card. He then moved to the Brewers for 1990 after Milwaukee purchased his contract. Diaz played in the United States for two seasons, spending both at high-A Stockton. He got into 84 games in 1990, hitting .216. He picked up a hit in a July game and two in an August contest. He returned for 40 more games at Stockton in 1991, hitting just .150. It was his second and last season in the U.S.
Diaz then returned home to Mexico and Monterey. He's credited as playing with Monterey nearly each year through 2003. He hit .283 in 2000 and .306 in 2001. He moved to San Luis Potosi for 2004 and then Tabasco for 2005 and 2006. His final recorded season came in 2007, playing between Saltillo and Campeche.